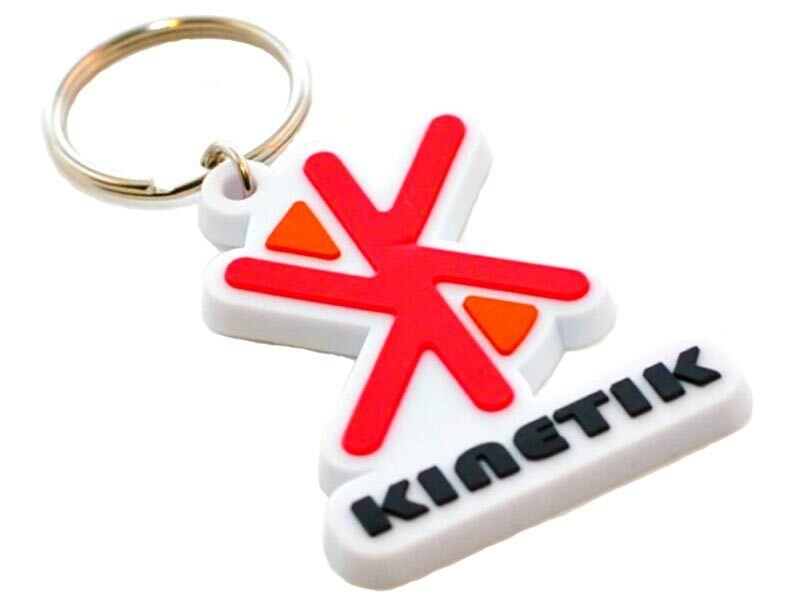 Are you considering Rubber Keychains for your Promotion? 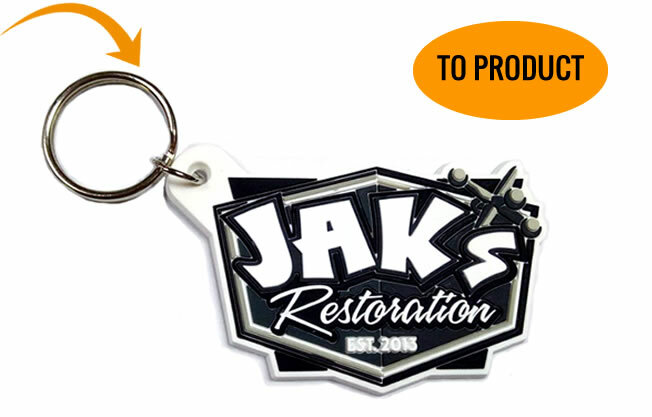 What do You Need to Know About Custom Rubber Keychains? Give your key tags a unique personality with a 3D design. (or fake a 3D look with 2D layers). One of the reasons people like love PVC is the almost infinite design possibilities, being able to have layers on top of layers, or below layers, can give your PVC keychain an outstanding look. A sort of 3-dimensional look. And some people might think that’s what we are referring to when we ask about a 2D or 3D mold style. But it’s not. When we talk about a 2D mold we talk about 2D layers, which are layers that flat on top, picture sharp corners on a side view and a “solid” look to it. When we talk about a 3D mold we talk about 3D layers, which are layers that are “puffy” looking. They have a curved top so thee is no sharp corners, they “flow” a little. 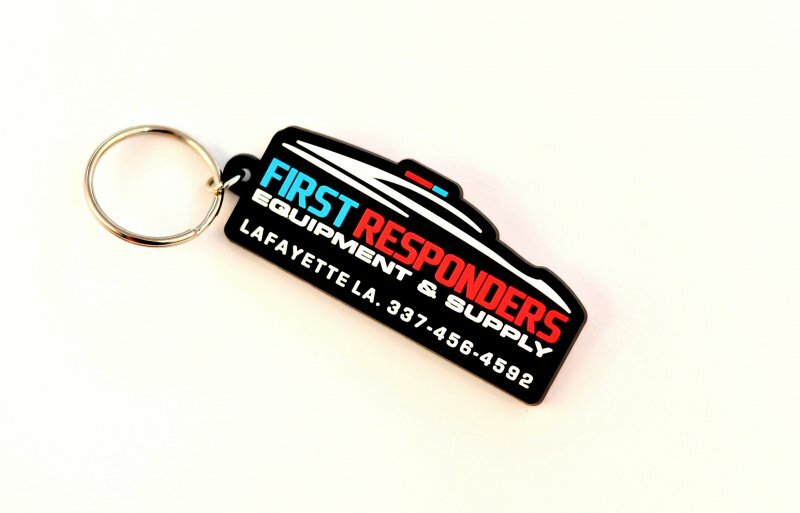 The back side of your keychain is the perfect place to add your business information: email address, website, phone number, or even a call to action to a special promotion. 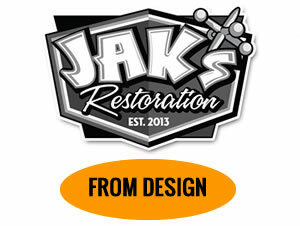 We use silkscreening printing and one color should be more than enough to convey your message. Don’t forget to choose a highly contrasting color for best visibility. Our standard Key Tags are made out of Soft Rubber PVC, which is a material that combines a very nice look along with durability. We also offer Silicone key chains, which are a bit more expensive but they have the advantage of being safer for the environment. 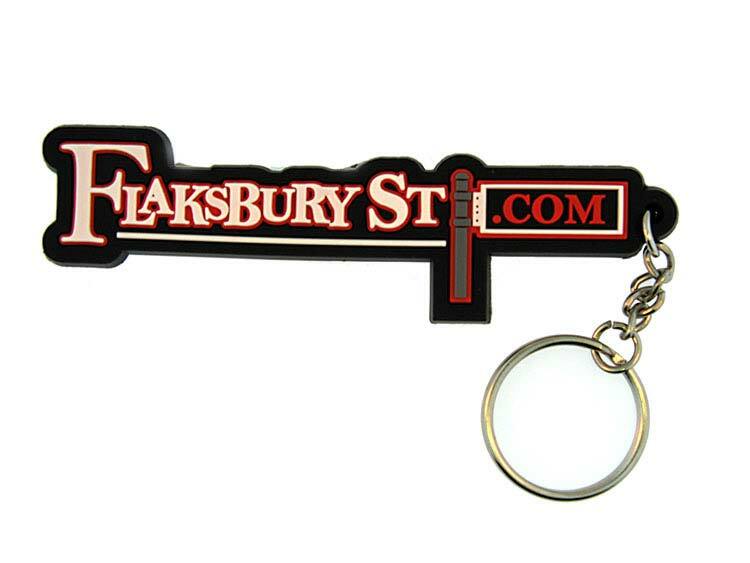 While metal keychains will give a classic feel, a soft rubber key chain appeals better to a more relaxed, youthful market. 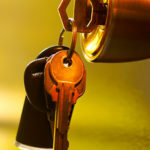 Others, such as a law enforcement office will probably prefer a metal keychain and a youth camp, or a custom car shop will probably like a rubber pvc keychain better. Dual sided: Same design on the back as in the front. 2 or 3-dimensional look: Square or Rounded elements. Offset-printing on the front and silk screen printed on the back. 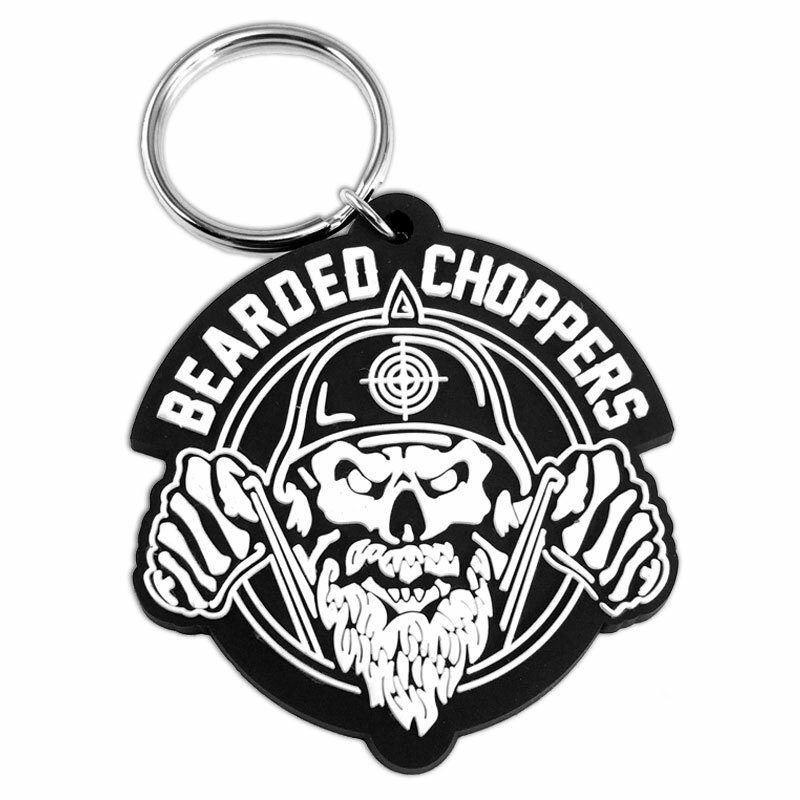 When we talk about custom rubber keychains, every project is different. 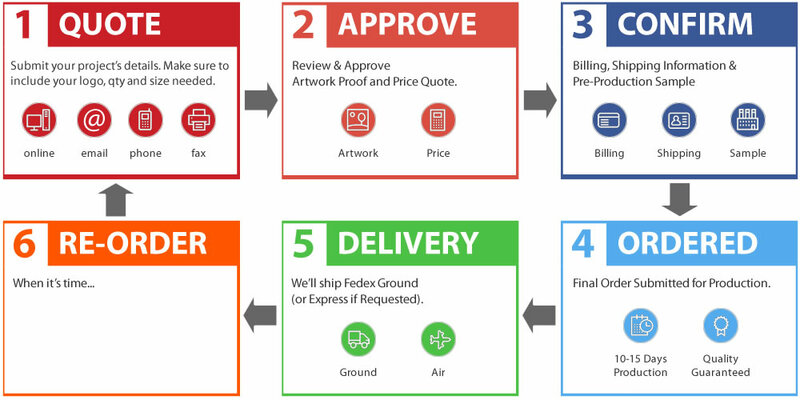 Size, Shape, Thickness, Layers, Colors can all affect the price, so please send us your design and a detailed description of your project for accurate quoting. Custom PVC keychains are creative, practical, and versatile for any company or business. Eye-catching keychains will be the perfect advertising tool that will give any onlooker an instant idea of what your business is all about. As a business owner, you’re always looking for new ways to promote your brand and draw customers in. You’ve probably already tried pens with the company name and logo on them. But keychains can be a much more effective choice. While pens are useful, keychains are both practical and attractive. While pens may be misplaced and lost forever, a keychain will stay with an individual along with his important house or car keys. 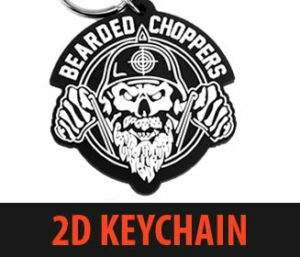 The very fact that a potential customer would place your promotional keychain on his keys shows an interest in your product. Every time that individual grabs his keys on the way out the door, he will see your keychain and think about your business. Every time this person looks at his keys he will immediately think about your company and recall his experience at your place of business. Also, anyone else who notices them will be indirectly informed of your company. The more unique your design, the better the chances of it becoming a conversation starter where customers can even turn into promoters of your business. Word of mouth is the best marketing strategy of all. Keychains are a very versatile marketing option as well. They can be made to accommodate any business, from car washes to doctor’s offices. Colors, fonts, logos, and shapes can all be customized to reflect the tone and character of your company and the products you sell. A keychain can be made to look fun and whimsical or sleek and professional. Also, some people love to collect them, therefore, it might be a good idea to create a couple of different styles to cater to differing tastes. 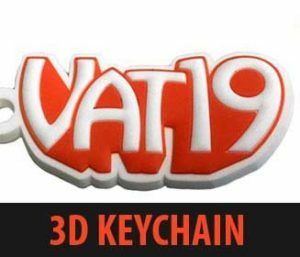 So, What Makes PVC Keychains Different Than The Regular Plastic Ones? 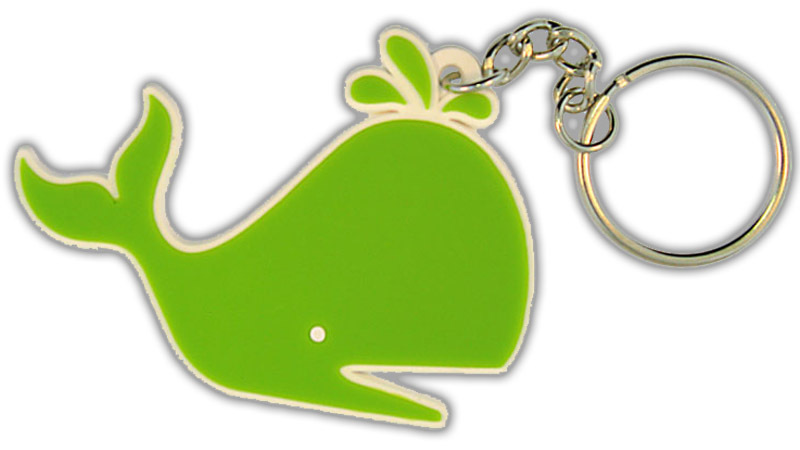 Soft PVC keychains in particular offer an entirely new world of possibilities. They can be created in any 2D or 3D shape and unlike other materials, longevity and wear are not issues. Soft Rubber PVC, is a very durable material that allows intricate artistic designs with a high degree of resolution. 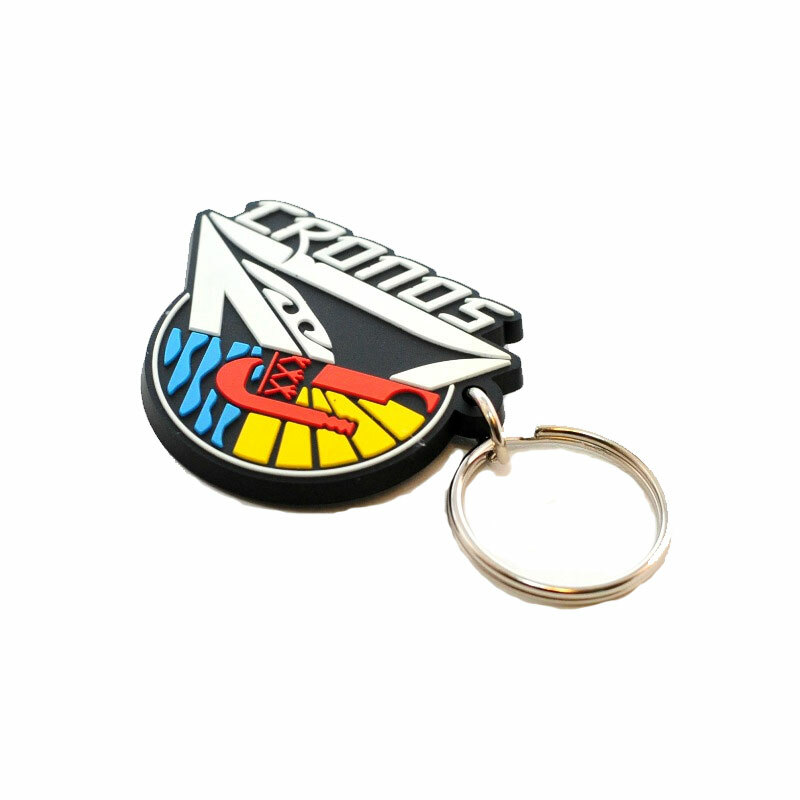 These choices allow you to be extremely creative to design a keychain that is one-of-a-kind so that customers will not be able to resist adding it to their keys. Give your customers and potential clients a keepsake they’ll use everyday. 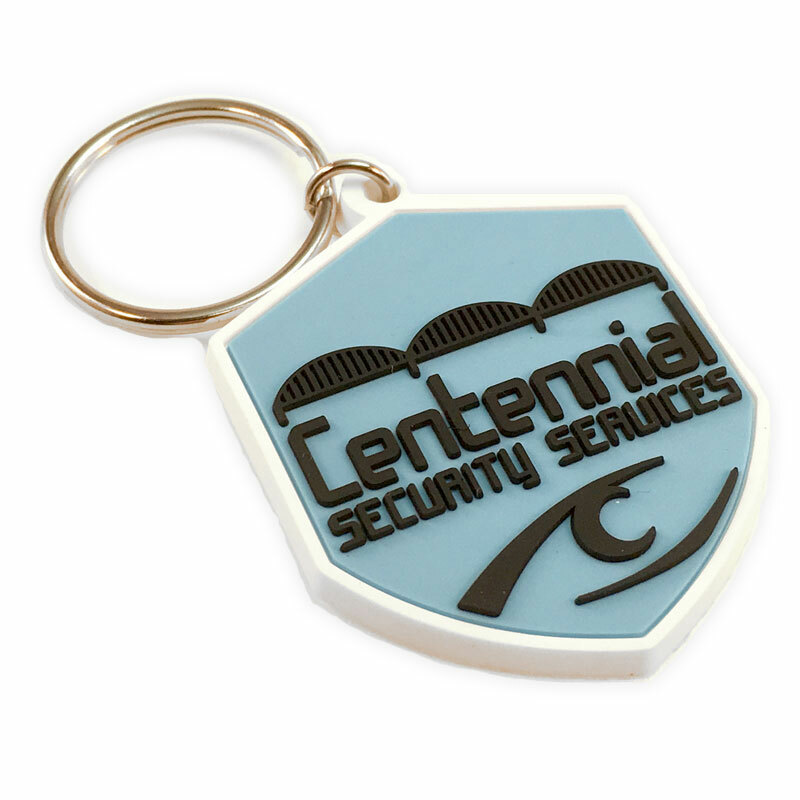 Custom PVC keychains are a unique and memorable way to remind them of their great experience with your company. How Can You Order Your Custom PVC Keychains? 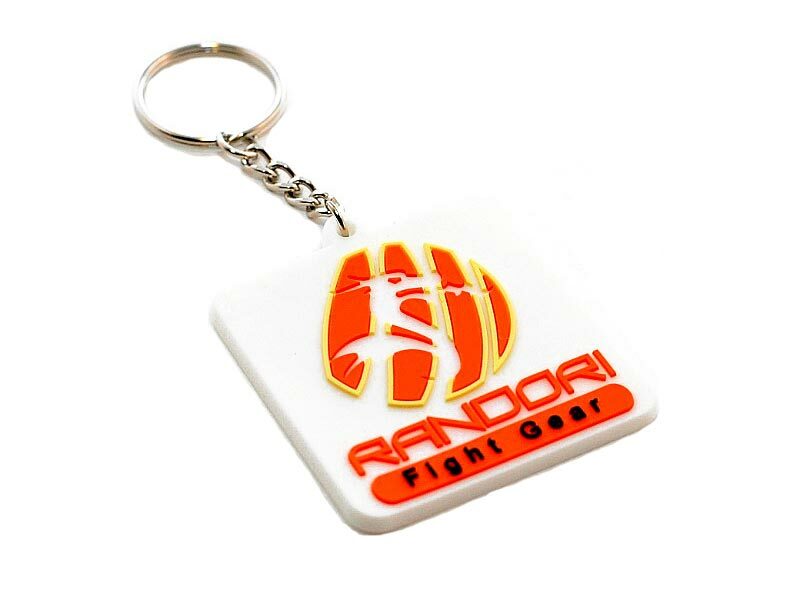 Randori Fight Gear is a manufacturer of affordable yet very durable high-quality fight gear and clothing. 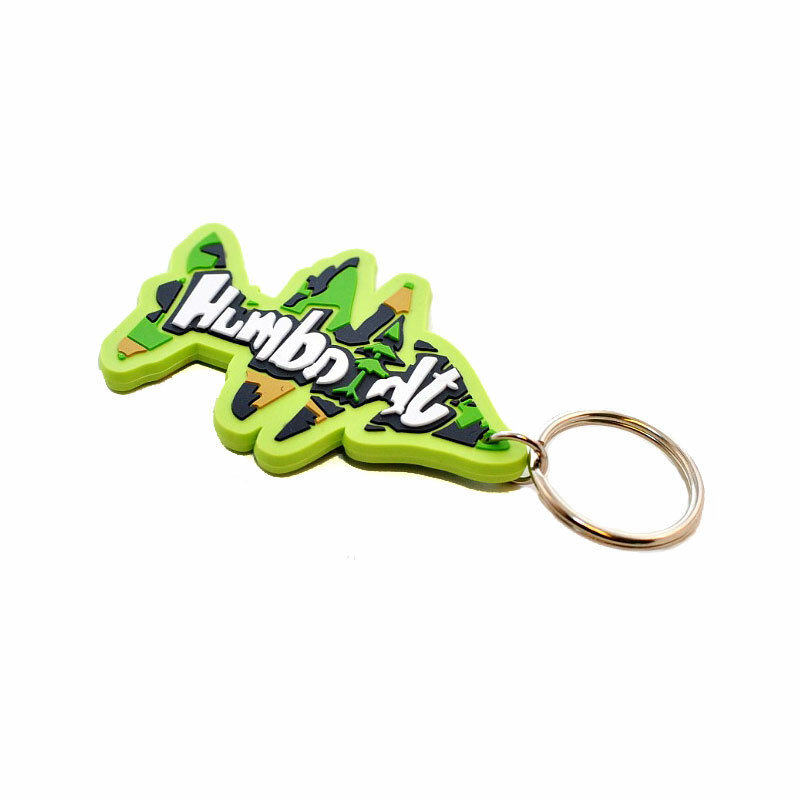 They came to us looking for a customized keychain that would be represent their brand in a unique fashion, but also be very durable like their products. 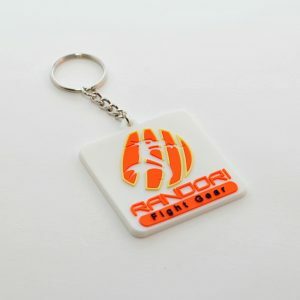 What we ended up designing for them was a soft Rubber PVC Key chain with their company / brand emblem as seen to the left. The first thing you’ll notice about this piece is the base PVC that their emblem is built upon. This is a 3.2mm high square white piece of PVC. The dragon is white since the orange and beige portion of the PVC, on the second level, is molded to display the white from the first level coming through. Fight gear is located on a third level adding that much more dimension to this keychain design. This keychain is technically 2D (not 3D since there’s no rounding/convex characteristics), but it has the depth of a third dimension the way we designed it.